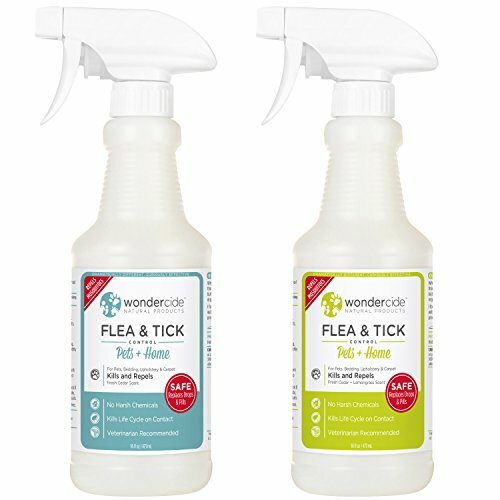 Wondercide Flea & Tick Control for Pets + Home & Yard + Garden (also sold on Amazon) provides pet parents with a complete system for natural flea and tick control, acting as both treatment and prevention for pets and their indoor & outdoor living environment. Kills full flea lifecycle! Only 5% of flea lifecycle is adult, which means 95% are in egg and larvae stages on your pet, in your home and in your yard. Pets + Home (formerly Evolv) kills adult fleas, eggs, larvae and pupae as well as ticks, mosquitoes, mites, mange and more. Don't poison your pet to protect them - use Wondercide. Why it Works: The active ingredient in Wondercide Flea & Tick products is cedar oil, which has been used for centuries to protect from pests (think Grandma's cedar chest!). Cedar oil works by blocking octopamine, which is necessary to regulate heart rate, movement, and metabolism in "bad bugs" like fleas and ticks. When cedar oil is present in the area, pests are repelled. When contacted by cedar oil, pests die. For cats, we recommend our 4oz mister size to ensure correct application. Also available on Amazon. Wondercide develops innovative natural products that replace chemical pesticides and other toxins used in everyday life. Our line of natural & organic pest control replaces chemical pesticides used in flea & tick control, home pest control, personal insect repellent and more. We're protecting your world, naturally. Our full line of natural products protect and care for families, their pets, and the places they live, learn, work and play. We take a holistic approach to consumer product development by using natural, locally-sourced, sustainable ingredients and innovative, low-impact manufacturing processes. 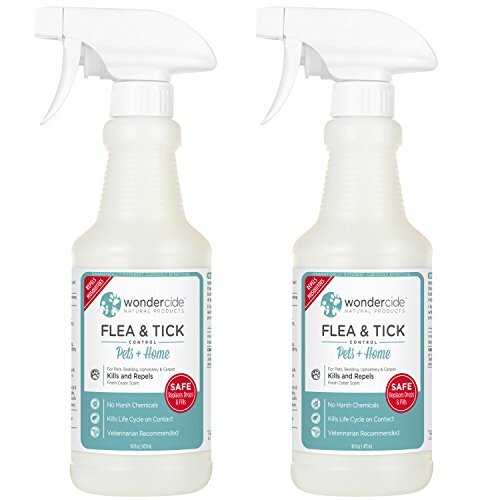 Wondercide Flea & Tick Control for Pets + Home & Yard + Garden (also sold on Amazon) provides pet parents with a complete system for natural flea and tick control, acting as both treatment and prevention for pets and their indoor & outdoor living environment. Kills full flea lifecycle! Only 5% of flea lifecycle is adult, which means 95% are in egg and larvae stages on your pet, in your home and in your yard. Pets + Home (formerly Evolv) kills adult fleas, eggs, larvae and pupae as well as ticks, mosquitoes, mites, mange and more. Don't poison your pet to protect them - use Wondercide. Why it Works: The active ingredient in Wondercide Flea & Tick products is cedar oil, which has been used for centuries to protect from pests (think Grandma's cedar chest!). Cedar oil works by blocking octopamine, which is necessary to regulate heart rate, movement, and metabolism in "bad bugs" like fleas the area, pests are repelled. When contacted by cedar oil, pests die. Mammals, birds, fish, amphibians and beneficial insects are not affected by cedar oil because they do not have octopamine neurotransmitters. For cats, we recommend our 4oz mister size to ensure correct application. Also available on Amazon. Wondercide develops innovative natural products that replace chemical pesticides and other toxins used in everyday life. Our line of natural & organic pest control replaces chemical pesticides used in flea & tick control, home pest control, personal insect repellent and more. We're protecting your world, naturally. Our full line of natural products protect and care for families, their pets, and the places they live, learn, work and play. We take a holistic approach to consumer product development by using natural, locally-sourced, sustainable ingredients and innovative, low-impact manufacturing processes. Replaces chemical spot-on treatments and pills, use to prevent or treat infestation To use Evolv: This natural spray kills parasites and other pests ON CONTACT, and also acts as a repellent. You apply this to your dogs, and also around your home on bedding, flooring and furniture because it will not stain or attract dirt. This natural formulation is made from organic food-grade ingredients and kills the FULL life cycle of pests - from eggs to adults. It's an organic powerhouse that kills 100s of common pests besides fleas, ticks and mosquitoes - you won't want to be without it in your home! For dogs, simply rub the coat in the reverse direction and spray down. Rub in the product by massaging with your hands. Spray down the belly, legs and paws. Spray in hand to rub on face and ears, avoiding the eyes. Because it's a repellent and contact kill, apply before and/or after walks in untreated areas where parasites may find your dog. To use EcoTreat: The included 16oz EcoTreat is a concentrate that is applied to your lawn and outdoor areas with a hose end sprayer to treat the source of the parasites: outdoors. This natural formulation also kills the full lifecycle in your lawn of 100s of pests, including fleas, ticks and mosquitoes. We recommend treating twice in 7 days with an 8oz dilution if it's your first time to apply, but if you're doing regular ongoing prevention, you just need a 6oz dilution applied every 30-45 days. To apply, simply load your sprayer, attach to the house and start facing your home and work backwards to the fence line. Work in an up and down motion on the exterior of your home, then spray the lawn thoroughly as you walk backwards, making sure to soak any ant mounds. Repeat until all outdoor areas are covered. No need to wait for the product to dry to use the yard. The included bottle of EcoTreat treats up to a 1/4 acre lawn. Eliminate ear mites and ear infections quickly and safely with this prevention and treatment for dog ear infections and ear mites in dogs and cats. Gentle yet effective, All Ears alcohol-free treatment is a natural prevention for ear infections and can be used routinely to prevent ear mites. If you've noticed black spots in the ears or excessive scratching and head shaking, this do-it-yourself treatment with therapeutic-grade essential oils will wipe out those tiny organisms that can cause ear pain for your pets. To prevent ear mites in dogs and cats, place a few drops in each ear once a week after cleaning. To treat a dog or cat ear infection, place a few drops in each ear once a day for five to seven days, and repeat as needed. 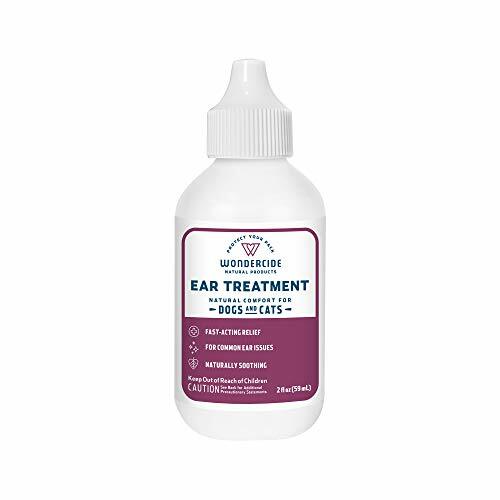 Ingredients: Purified Water, Organic Oils of Neem, Lavender, Cedar & Lemongrass, Natural Emulsifier Made of Plant Materials Wondercide's natural ear solutions are formulated by a holistic veterinarian with therapeutic-grade essential oils. They contain no harsh chemicals, artificial preservatives, alcohol, or artificial colors or fragrances. Safe for dogs & cats of all ages. Protect is a natural flea and tick repellant formulated by nature. Protect combines Brazilian oils derived from certified forests which act as a natural force field to shield pets from unwanted pests. These oils have been used for centuries by the indigenous people of the Amazon forest to keep pests from detecting a desirable sent. Protect contains Lemongrass Oil, Cinnamon Oil, Sesame Oil and Castor Oil. [2019 UPGRADED] Looking for a safe, efficient and practical pest killer? Want to keep your children's room insect-free? Need a powerful and non-toxic flying insect control solution for your home or office? 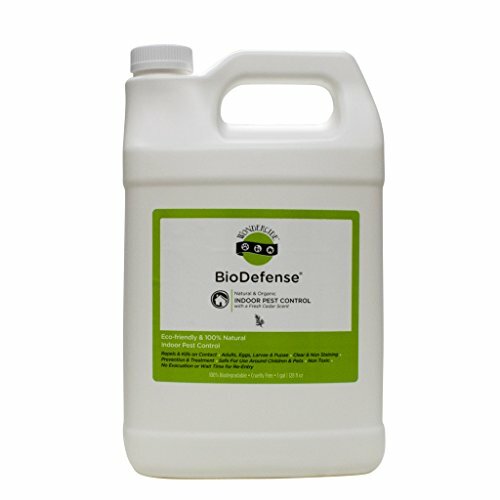 Why put up with blood-sucking mosquitoes, flies and other pesky insects, when you can effectively get rid of them? 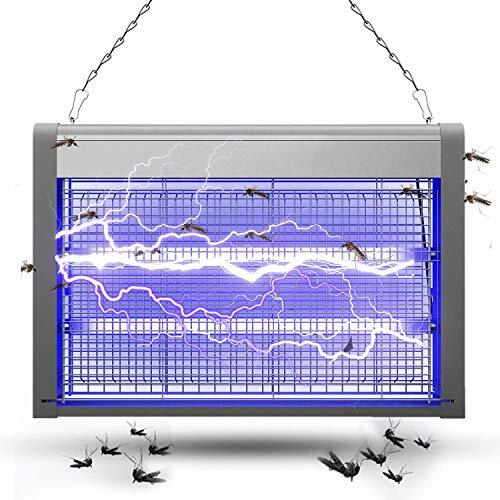 Our UV light electric bug zapper is finally here to help you eliminate all flying insects without having to waste your money on chemical products or risk your family's and pet's wellbeing! 2019 UPGRADED - About Our Bug Zapper: 1.Do not touch the electrical wed with hand or electricity conducting materials. 2.The insect killer must be placed at least one meter away from the flammable substance such as gasoline and petroleum. 3.Install mosquito killer lamp by attaching the accompanying chain to the hooks on the top of the unit, or set on a hard surface. 4.Clean the base if there are too many dead mosquitos, flies and pests. 5.Remember to disconnect the electrical source before you change the electric bulb. 6.Please switch off the insect killer when you go out. 7.Moisture can damage and short-circuit this electrical appliance. 8.Voltage: AC 110v. POWER: 20W. Eliminating bugs and insects with harsh chemical products is not a solution. Especially if you have seniors, young children or even pets at home. Unlike all those potentially harmful chemical bug repellents, lotions and toxic sprays, our mosquito zapper is 100% safe, 100% non-toxic and 100% chemical-free! NO CHEMICAL, NO FUMES, NO SMELL, NO MESS, NO TROUBLE! The Spot Drops Replacement Kit replaces chemical pesticide flea & tick spot drops or pills! Prevent fleas & ticks naturally by treating your outdoor areas every 30-45 days to eliminate the source of fleas & treating your pets to kill and repel any fleas they pick up outside of your treated areas. The included 16 oz Flea & Tick Control for Pets + Home and 16 oz Flea & Tick Control for Yard + Garden treats up to 1/4 acre (10,500 sq ft) and 3-4 pets for a month, depending on usage. 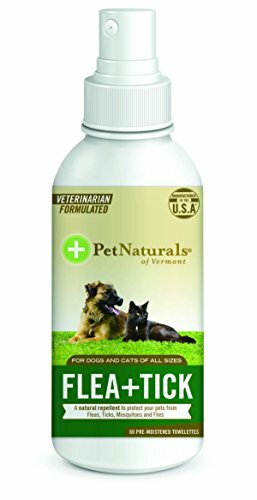 To use Flea & Tick Control for Pets + Home: This natural spray kills parasites and other pests by CONTACT, and also acts as a repellent. Apply to your pet's coat and also around your home on bedding, flooring and furniture because it will not stain or attract dirt. This natural formulation is made from organic human-grade ingredients and kills the pest life cycle. Because it's a repellent and contact kill, apply before and/or after walks in untreated areas where parasites may find your dog. Can also be used to treat home interiors or sprayed routinely in high-traffic areas inside your house. To use Flea & Tick Control for Yard + Garden: The included 16oz Flea & Tick Control for Yard + Garden is a concentrate that is applied to your lawn and outdoor areas with a hose end sprayer to treat the source of the parasites: outdoors. This natural formulation also kills the full lifecycle in your lawn of 100s of pests, including fleas, ticks and mosquitoes. We recommend treating twice in 7 days with an 8oz dilution if it is your first time to apply, but if you are doing regular ongoing prevention, you just need a 6oz dilution applied every 30-45 days. No need to wait for the product to dry to use the yard. 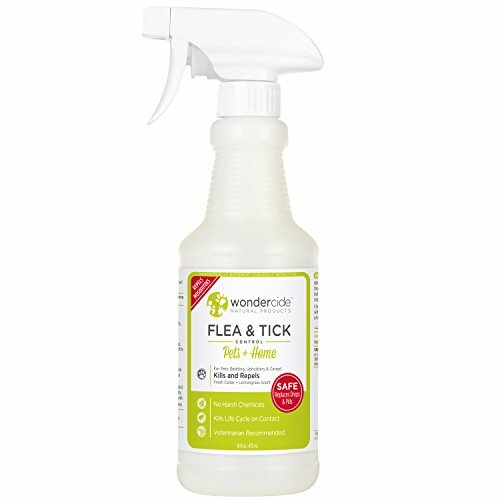 The included bottle of Flea & Tick Control for Yard + Garden treats up to a 1/4 acre lawn. 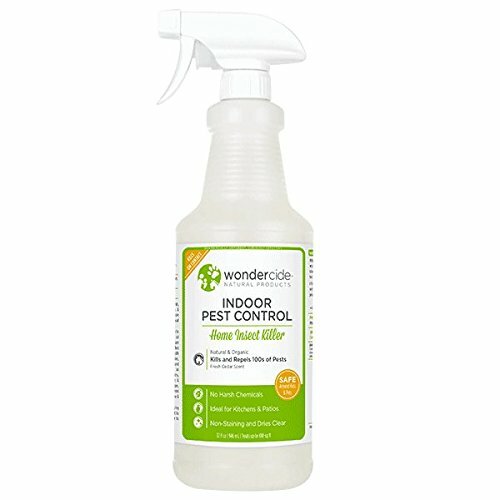 Wondercide's BioDefense organic home pest control effectively kills ON CONTACT and repels over 100 home invading pests! Unlike other pesticide options that are potentially toxic to your family and the environment, BioDefense is eco-friendly and does not contain harsh pesticides such as permethrins and pyrethrins. In fact, it is completely safe for use in food preparation areas. It can safely be used where children crawl and play, and on pet bedding! BioDefense will not stain fabric, carpet or flooring so you can safely spray it on furniture, flooring and throughout your entire home! Kills and Repels: Ants, Roaches, Spiders, Moths, Termites, Bed Bugs, Scorpion, Silverfish, Fleas, Ticks, Mites, Lice and 100's more! You don't need harsh chemicals to care for your dog's skin! Wondercide Skin Tonic is a natural, multi-functional solution for all kinds of skin problems. It's so safe that pet parents can use it, too! Great for all kinds of stubborn skin problems. Use the power of nature to heal even the most stubborn skin problems! Wondercide Natural Products are natural and powered by Mother Nature's most powerful ingredients. Treat the source of the skin problems with the soothing essential oils in this full-body spray. Great for pets AND people! Neem Oil is naturally antiseptic, antibacterial & antifungal, providing gentle comfort for irritated skin. Skin Tonic Soothes: - Dry Skin Itching - Skin Skin Irritations - Hot Spots - Rashes - Burns - Eczema - Psoriasis - Fungal Infections - Ringworm - Insect Bites - Mites - Mange - and more! Ingredients: Distilled Water, Organic Oils of Neem, Lavender, Cedar and Lemongrass, and neutral emulsifier derived from plant material. Skin Tonic Spray is the ideal remedy for dry, itchy and irritated skin, sun burns, hot spots and other skin issues. 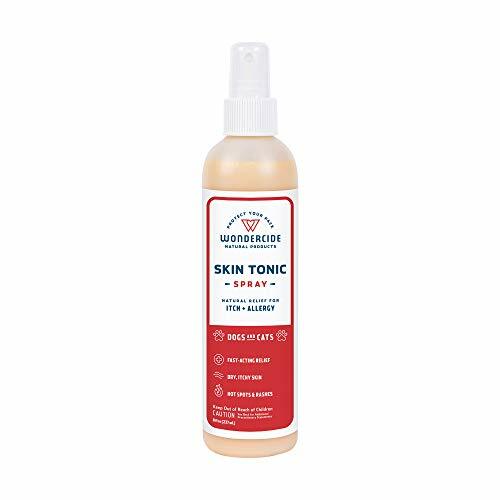 Wondercide Skin Tonic Spray can be applied to a localized area or all over the body, providing gentle comfort from serious skin irritations. Skin Tonic is formulated with healing oils that provide fast, natural relief and a fresh, clean fragrance that pets and people love. 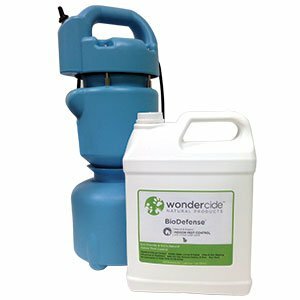 Wondercide's natural home pest control (formerly BioDefense) effectively kills ON CONTACT and repels over 100 home invading pests! 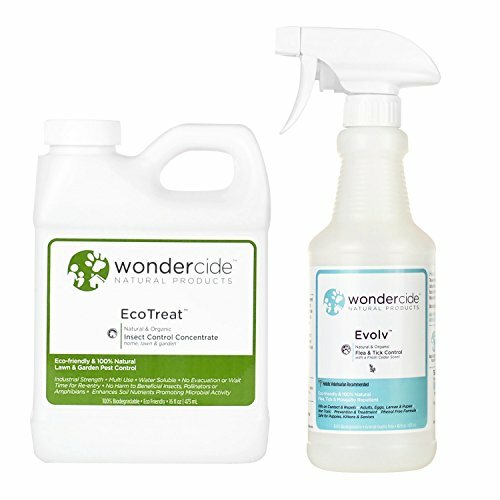 Unlike other chemical pesticide options that are potentially toxic to your family and the environment, Wondercide Natural Indoor Pest Control is eco-friendly and does not contain harsh pesticides such as permethrins and pyrethrins. It is completely safe for use in food preparation areas because it's made of human food-grade ingredients. It can safely be used where children crawl and play, and on pet bedding! 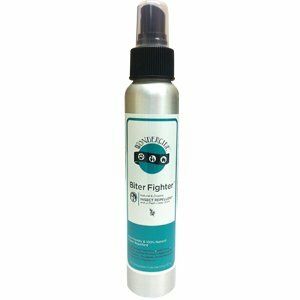 This 32oz bottle can be used as needed to kill and repel pests in homes, schools, and businesses. It will treat 400 sq ft or the perimeter of a 2000 sq ft home. Kills and Repels: Ants, Roaches, Stink Bugs, Spiders, Moths, Termites, Bed Bugs, Scorpion, Silverfish, Fleas, Ticks, Mites, Lice and 100's more! Not for use on plant life. Wondercide develops innovative natural products that replace chemical pesticides and other toxins used in everyday life. Our line of natural & organic pest control replaces chemical pesticides used in flea & tick control, home pest control, personal insect repellent and more. We're protecting your world, naturally. Our full line of natural products protect and care for families, their pets, and the places they live, learn, work and play. We take a holistic approach to consumer product development by using natural, locally-sourced, sustainable ingredients and innovative, low-impact manufacturing processes. 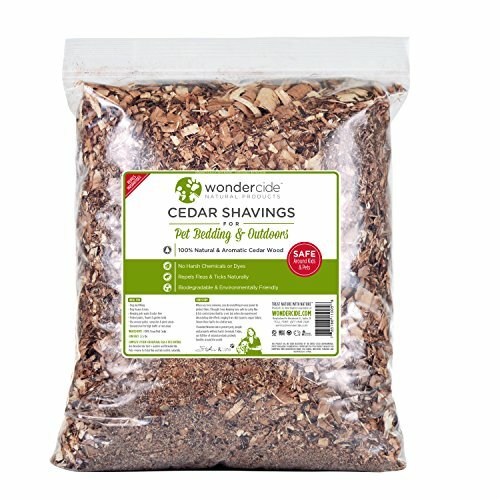 Wondercide Cedar Repellent Shavings are 100% pure Texas cedar. Cedar shavings can be used outdoors to further buffer you from pesky pests. Use at picnics and on camping trips to deter scorpions, snakes, raccoons, opossum, critters, snakes & insects. Use inside and outside pet areas, in bedding, dog houses, pens & runs, to keep fleas and ticks away. Ideal for horse trailers and horse stalls. Covers up to 150 Sq Ft This bag weighs 2.5 lbs and covers up to 150 sq ft. Cedar wood shavings repel fleas, chiggers, gnats, flies, ticks, mosquitoes, scorpions, roaches, ants, chinch bugs, venomous snakes, and more! How to Use Spread around the perimeter of your home to boost your natural home pest control while increasing your curb appeal. Cedar shavings work to create an air & ground surface barrier from flies, mosquito, gnats & more! Hand broadcast Wondercide cedar shavings over the area at a rate of 2.5 lbs to 150+ square feet. Dispense from the center outwards in a circular pattern. Allow 15 minutes exodus time for insects prior to transferring camping gear or picnic supplies into treated area. For pet beds, undo closure and shake into bed. Use liberally on flooring of dog houses, pens, runs, horse stalls and trailers. Animals can safely enter the treated area during or immediately after. There is no wait time for re-entry.